Floyd Mayweather has done it again. He has bought a million-dollar watch. 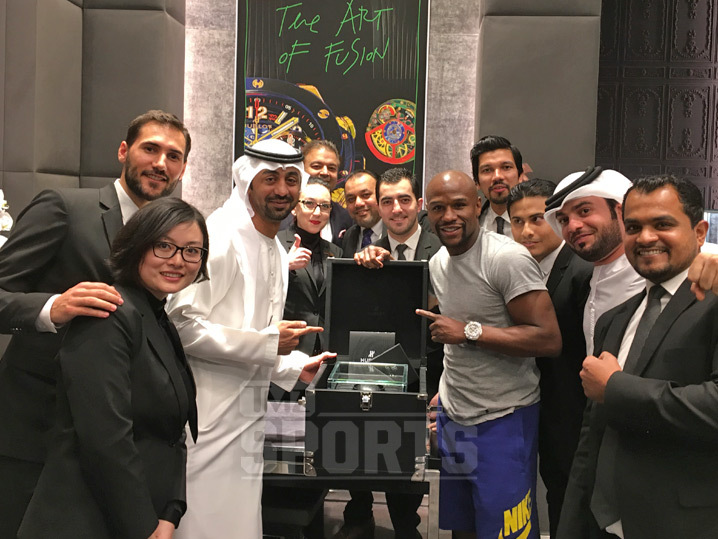 The boxer has been on a crazy spending spree the past few weeks, especially during a trip to Dubai, picking up one of the most expensive timepieces on the planet. TMZ reports that the watch is a Hublot and is covered in expensive diamonds. TMZ added that Floyd has dropped more than $1.5 million during his 2-day spree at the Dubai Mall where everyone in the mall loves him! 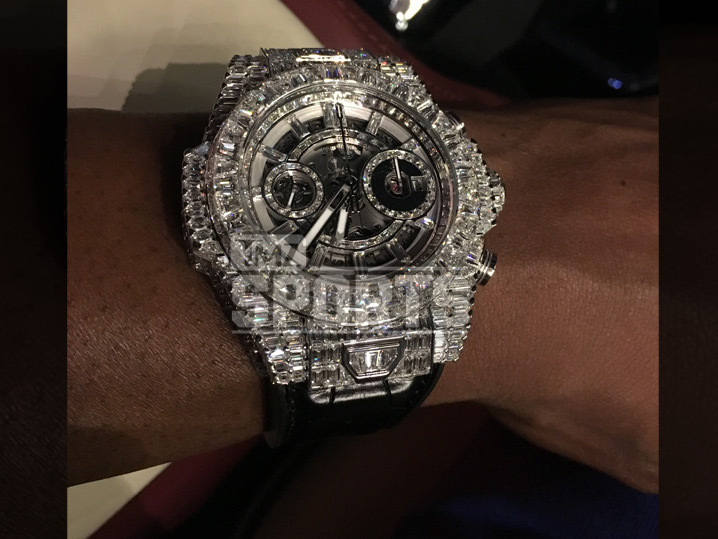 This is the second time Floyd Mayweather has dropped seven figures on a watch. He bought a million-dollar diamond covered piece in New York back in 2014.